What Should Pay Attention When You Operate the Mixer? 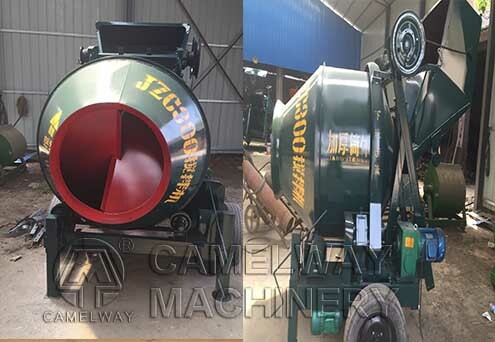 Concrete mixer is composed of mixer drum, charging and discharging mechanism, water supply system, prime motor, transmission mechanism, rack and supporting device etc. In the process of operation, there are many details we should pay attention to. 1.The concrete mixer should be placed in the flat place. 2. The secondary leakage protection should be implemented. 3.The direction of rotation of the mixer drum should comply with the arrow direction. If not, we should correct the connecting method of motor wiring timely. 4.Check whether the driving clutch and the break are flexible and reliable, whether the wire rope is damaged, whether the track pulleys are in good condition, whether there are obstacles around the machine and whether the condition of lubrication of all parts is good or not. 5.After turning on the machine, we should observe carefully whether the operation of all parts of the machine is normal. 6.Keep the machine clean and intact. 7.After work or when we do not use the concrete mixer, we should switch power off and lock the switch box well to ensure safety. From the above, we can know that there are many details when we operate the concrete mixer. Therefore, in your daily operation, you should pay attention to these. If you want know more about products information, please contact us. We will give you the best service. How much water concrete mixer mixing cement need ?